Beginning at 7am, some of the Hounds helped set up the various stations for the day’s events – carrying, wheeling, and carting out different weights, bars, boxes, airbikes, and more. As the athletes entered the stadium, the Tacoma Hounds were there to greet them from the recruitment booth they had also set up. 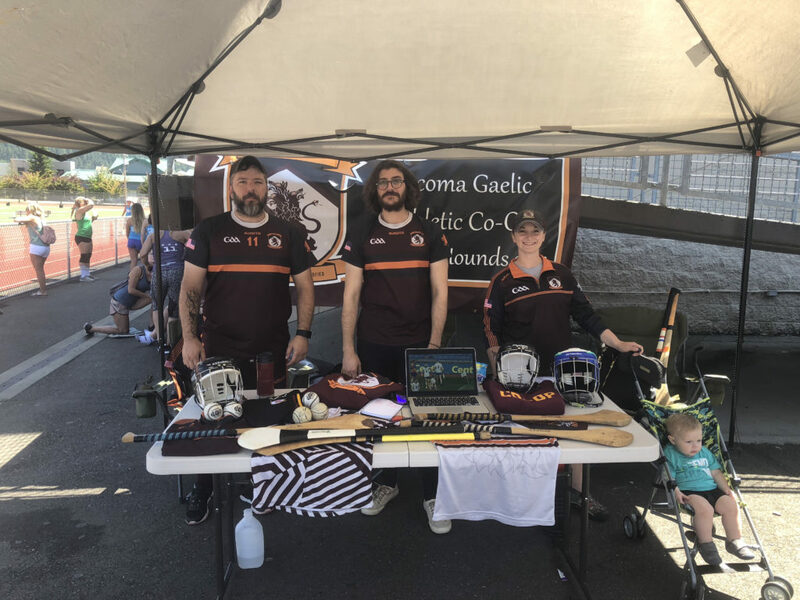 With Hurling equipment, a bright banner, and matches playing all day long from a laptop, the Tacoma Hounds were able to introduce the sport to many people at the event. Teams from all over the Puget Sound area competed in the Smackdown throughout the day’s substantial heat, including Sumner, Puyallup, Enumclaw, and Whidbey Island. The Co-op’s own Chris Winslow provided much of the event’s commentary over Sunset Stadium’s PA system. The competition consisted of three events held over the course of the day, with RX and Scaled Divisions for the participating men’s and women’s pairs. The first event consisted of Max Effort Snatches with increasing weight over three back-to-back intervals (90 seconds, 60 seconds, and 30 seconds) combined with a final One Rep Max lift to determine the scores. The second event, “The Trudge”, lived up to its name by having each team push a sled for four intervals of 25 yards, with a different lift to be completed at the end of each interval and scored according to overall time. Working their way down the field, athletes completed 75 Thrusters, 25 Burpee Box Jump Overs, 75 Dual Dumbbell Front Squats, and 25 Sand Bag Cleans at the respective intervals before sprinting back the 100 yards to the start with one partner pushing the sled and the other carrying the sandbag for the full distance. The final event, “Hangin with Grace”, saw the athletes complete another cross-field test of strength and endurance for time. Beginning with a 100 yard sprint, the competing athletes completed 30 hang clean and jerks, advancing the barbell 10 yards every 10 reps. After the first 30 reps, additional weight was added to the barbells before repeating another 30 reps, again advancing 10 yards with every 10 completed reps. After finishing all 60 reps, the pairs sprinted to the finish line to complete the days events. Event goers were able to get a quick “Hurling 101” lesson, with a quick rundown of the skills, rules, and the chance to hit back and forth with some of the sticks brought by the Hounds. The Hounds held a short Hurling demonstration during one of the breaks later in the day’s schedule, with players out on the field to hit around and show some of the basic skills to the attending audience – including some long-range free attempts through the football uprights on the field. The demonstrators were joined by one of the youths at the event, who succeeded in learning the roll lift, the groundstrike, and how to strike from the hand. 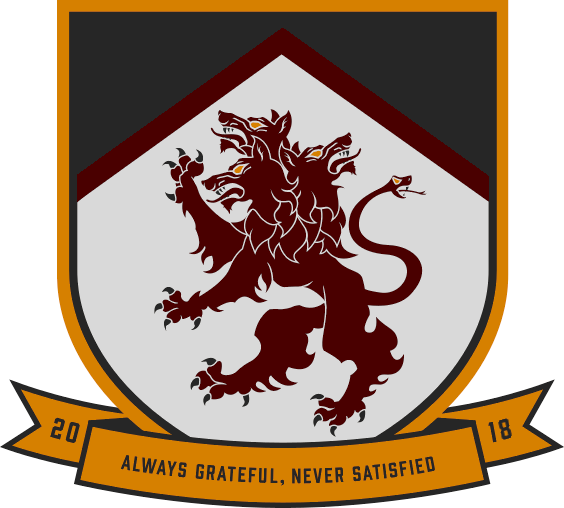 We’d like to thank Sumner CrossFit again – for both the opportunity to train in their gym earlier this year during the darker and less enjoyable months to be outside as well as the opportunities to help out and set up a booth. The Tacoma Hounds are excited to see what next year’s Smackdown brings!